Timber, Lumber for Boat Building. 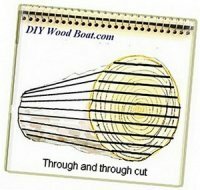 Timber for Wooden Boat Building. 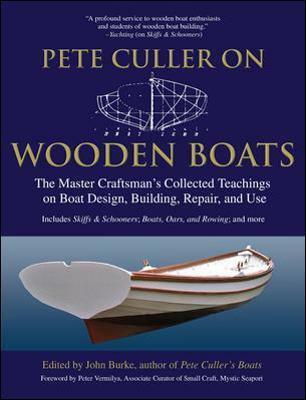 There are quite a number of timber varieties which are suitable for wooden boat building. Is it available in the sizes you need? Strength and toughness, will it be up to the job. Will it bend, hold a nail, make strong joints? Will it be resistant to rot in a wet environment and attack from teredo gribble ad the like? All timber swells when it gets wet, but some swell more than others and likewise shrink when they dry out. Will it be easy to work? Will you be able to get a good finish if you need it? 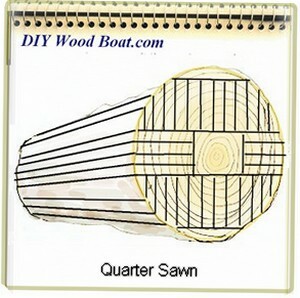 Is quarter sawn timber available when you need it? It is a sad fact that each year around thirteen million hectares of natural forest are cut down. In recent years there has been a lot of pressure on the forestry industry to become more environmentally aware. ‘Sustainability’ is the eco goal. However, it is such a complex issue that not even the organisations trying to promote the issues are able to define the methods or issues involved. The issue is even more complicated by the plethora of certificating organizations and eco groups. These have become an industry in them selves which doesn’t help matters. I would love to be able to advise you on what timber to use and what to avoid but I have become so cynical of late that I no longer know who to believe. So you are going to have to rely on your own beliefs and prejudices, assuming that is that you care. How to source sustainable 'Green' Wood. Ash has fairly good rot resistance. It bends easily and works easily. However, it does discolor with exposure. But it does have an excellent strength for weight ratio. Yellow cedar is the hardest of the cedars and has exceptional resistance to weathering and rot. It has a tight grain and is easy to work. Red Cedar It is valued for its resistance to decay, has inherent stability, glues well and has a rich colour when varnished. Lebanon cedar is easy to work has a straight grain and provides a good finish. Sweet Chestnut has a rather course texture and a straight or spiraled grain. But it is easy to work and finishes well. Cypress is an excellent choice for structural members. It is also a stable wood, resistant to splitting and warping, it is strong, relatively easy to work and readily accept paints, stains and glue. Perhaps that’s why Noah made his Ark from Cypress. This strong tough wood has straight grain is good to work and finishes well. It is also good for bending and has good rot resistance. Fir is a strong soft wood which is good for planking. It bends well, is easy to work and finish and has good rot resistance. An excellent cheap substitute for teak Iroko is available in large boards. It has excellent rot resistance moderately easy to bend and glues well, though some glues may leave a black line. Moderately good to work is has a tendency to distort and can be difficult to finish. This durable soft wood is good for planking. It will finish well though its general workability, bend-ability and rot resistance are only moderate. There are many varieties of mahogany usually denoted by the country of origin. It finises well is easy to work has good rot resistance and bends easily. A very strong wood which has straight grain, works well and fishes well. However, it is prone to shrinkage, cracking, and swelling. Huron, Kauri and White pine are soft woods which all work bend and finish reasonably well, they also have fair rot resistance. White pine is available in large boards. Pitch pine had good rot resistance but is difficult to work. This is an excellent wood for spars as it is available in long lengths. It has a straight grain and an even texture. It works well finishes well and is moderately rot resistant. This is an expensive wood which is not normally available in large sizes. However it finishes well has excellent rot resistance and moderately easy to bend. It has a straight grain and has excellent resistance to rot and marine borers. 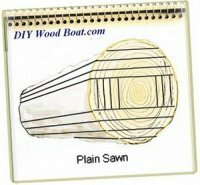 Why Oak hull frames (ribs) on my boat while carvel planks are mahogany.? 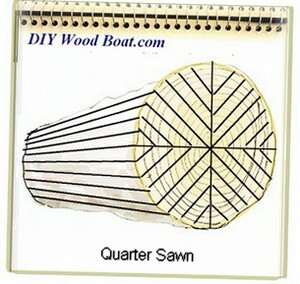 What is the best choice of wood for a 1" X 1" curved dory gunwhale or rub rail?